What better day to be inspiration for prints than Chinese New Year - The Year of The Monkey. 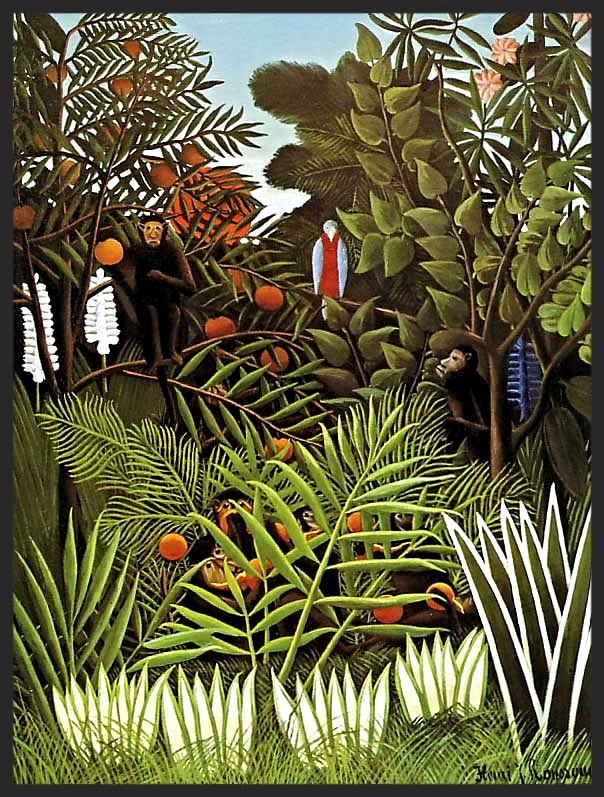 And - what better artist to look towards for the perfect Monkey print than Henri Rosseau. 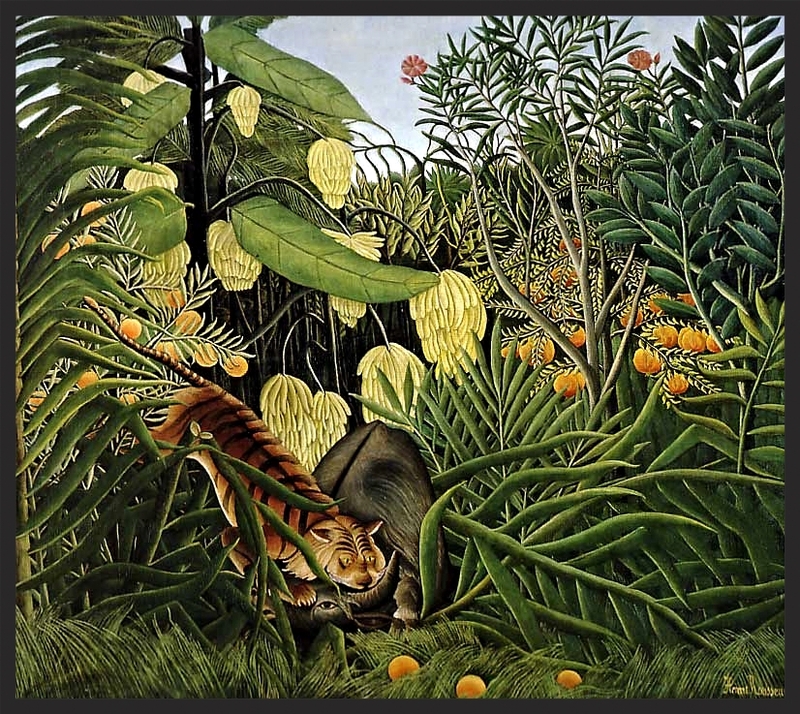 Well known for his jungle scenes - he never actually set foot in a jungle. A self taught artist, there is a naivety about his work that for me makes it approachable, visually inspiring and readable. It conveys a story, a simple and yet intriguing picture. Giving more as you continue to look. I've always been a huge fan of textiles and constantly source anything textile related as inspiration. I have a collection of vintage clothes - incorporating a huge amount of craft, embroideries, needle work etc but one area of clothing I'd like to add to, is print. I currently collect pieces from Zandra Rhodes and Ann Green plus other designers and pieces of social, environmental or craft interest. Mostly these focus on surface texture and not print. So I'm having a think and starting to look at areas of fashion, print and vintage clothing that I'd like to consider collecting. I've started with Louis Feraud. I love the prints he used especially in the 1960's. Prints so busy that they stand alone as stunning illustrations. Illustration's that could almost be considered elaborate doodles - yet - incredibly sophisticated. I'm not a huge scarf fan - either as a collector or wearer so I think the fact that these amazing prints were used as clothing makes them for me more wearable and there fore more collectable.